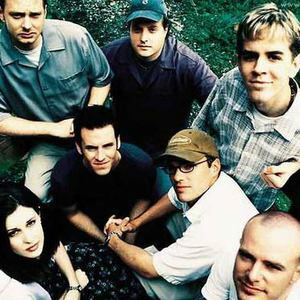 Caedmon's Call, a contemporary christian band that fuses traditional folk stylings with world music and alternative rock influences, formed in 1993. It is comprised of Cliff Young (lead vocals and rhythm guitar), Danielle Young (vocals; married to Cliff, formerly Danielle Glenn), Garett Buell (percussion), Jeff Miller (bass guitar), Todd Bragg (drums), Josh Moore (keys, accordion, harmonica), and Andrew Osenga (guitars, vocals). Former members include Derek Webb (guitar, vocals; left the band in 2003 to pursue a solo career), Aaron Tate (songwriting duties), Aric Nitzberg (bass guitar), and Randy Holsapple (hammond organ). Recently Derek Webb rejoined the band.